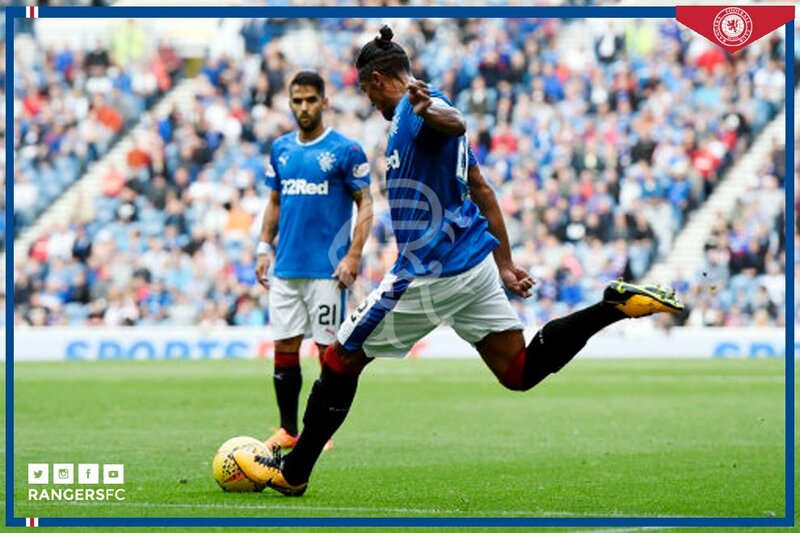 Should Bruno Alves leave Rangers in January? Previous Article Transfer Window Preview: Part 1 - Who Could Leave? Rangers pulled off a great coup in the summer transfer window when they secured the services of Bruno Alves. Not many would have expected a team who had been promoted back to the top fight of Scottish football the previous year to sign a player of Alves’s pedigree and quality. Celtic remain the strongest team in Scotland at the moment and it may take a few more years for Rangers to start challenging their Old Firm rivals for the Scottish Premiership title, but signing Alves was a step in the right direction. Alves may have been 35 of age when he joined Rangers in the summer of 2017 - he is now 36 - but he has a truckload of experience and a winning mentality. The central defender is a serial winner and has claimed trophies whenever he has gone. Alves won the Primeira Liga four times with FC Porto, the Russian Premier League twice with Zenit Saint Petersburg and the Super Lig in Turkey with Fenerbahce during the 2013-14 season. The centre-back also played a key role in Portugal winning the UEFA European Championship in France in 2016. Alves, though, is not having a great time at Rangers at the moment. The central defender’s performances have left much to be desired, and he has also suffered from various niggling injuries. The Portugal international centre-back may also have been pretty much guaranteed a place in the Rangers starting line-up when fellow Portuguese Pedro Caixinha was in charge of the Gers, but under interim-manager Graeme Murty, the former Porto star hasn't played as much as he's have liked. There have been fitness issues, and the emergence of Ross McCrorie has made it hard for him to get back into the team. McCrorie is one of the best and most promising young centre-backs in Scotland, and the 19-year-old Scotland Under-21 international is also able to play as a defensive midfielder. It is clear that McCrorie is the future, and with 21-year-old centre-back David Bates also bad fit and playing well, Alves could have to spend a considerable amount of time on the substitutes’ bench. Then there is the small issue of Rangers still looking for a permanent successor to Caixinha. Derek McInnes, who is in charge of Aberdeen at the moment, recently turned down the chance to be the Gers’ new manager, whilst any new man could well decide to focus on young players. After all, Rangers have to look to the future and need to blood young players. With players such as Bates and McCrorie in the squad, any new manager could well decide to make them a regular pair at the heart of the Rangers defence and build his team from the back. After all, Alves is 36 years of age and is arguably past his prime. For Alves to feature in the Portugal first team at the 2018 World Cup finals in Russia next summer, he needs to play regularly this season and play well. True, the defender will be part of the 23-year-old squad no matter what - except injuries, of course - but for him to actually be part of Fernando Santos’s starting line-up in the group games, he needs to be match fit and have a successful season, at least on a personal level. With the odds of Portugal winning the World Cup in Russia next summer as long as 25/1 and 28/1 on various betting websites listed on Oddschecker, Santos cannot have liability in the team. Even though Alves has a wealth of experience, if he does not play much this season, then he would not get much of a chance of playing for Portugal in Russia. Therefore, if Alves has the opportunity to leave Rangers and join another club on loan in January, then he may well do so. Given that the Glasgow giants signed him on a two-year contract in the summer of 2017, it is hard to envisage them selling him so soon. Moreover, the Gers may not get too much in terms of a transfer fee for a 36-year-old centre-back who cannot get into the starting line-up of a team in Scotland who are not really in the title race. A loan move to a club in Italy or Spain would suit Alves just fine and allow him the chance to start playing matches on a regular basis.